Our founder, Steve Lauer, began Lauer Family Funeral homes because he saw what impact the larger, high volume funeral homes had on families. Impersonal and distant is not what families are looking for or need when planning to memorialize their loved ones. After years of working in the Detroit area, Steve decided to take a path that would allow him to insure that families he served would be treated in a personal, compassionate and caring way, instead of placing profit ahead of family care. In June of 1981 he purchased the former Labedz Funeral Home in Jackson and renamed it the S. D. Lauer Funeral Home. It is there the fine tradition of compassionate, personalized care started that your local Lauer Family Funeral Homes are known for. The small town, close-knit community atmosphere fits closely with the way in which Lauer Family Funeral Homes likes to treat each and every one of the families we serve. The kind of small town caring found in communities across America like Concord, Michigan. When the opportunity to acquire the former Murdock Funeral Home in Concord presented itself in November 1984, Steve Lauer leaped at the opportunity. Over time, our Concord funeral home proved too small to adequately serve the needs of the community. In 2002 we undertook the monumental task of expansion and remodeling with a significant increase in the size of the footprint of our buildings. To accomplish this, we completely demolished the interior of the funeral home and tied it together with our detached arrangement office. The finished project allows us to provide you with big city amenities with a local, small town atmosphere including: a large chapel/viewing room, family café, lobby, large well-lit arrangement center, and a state of the art audio system. Over the years of owning our Jackson facility it became quite apparent that our cramped little funeral home needed expansion and remodeling to better serve those we care for. 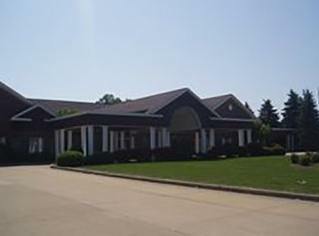 In 1994 we undertook the task of upgrading our facilities by adding a 1200 square foot chapel/visitation room, lobby, reconfiguring the existing structure and adding additional amenities not offered before, including additional restrooms, a family café, a large and well lit arrangement center, beautiful landscaping, and decor to suggest a home-like atmosphere. 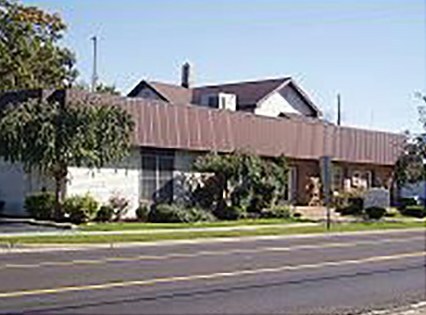 Like our Jackson facilities, our Concord funeral home proved too small to adequately serve the needs of the community. In 2002 we undertook the monumental task of expansion and remodeling with a significant increase in the size of the footprint of our buildings. To accomplish this, we completely demolished the interior of the funeral home and tied it together with our detached arrangement office. The finished project allows us to provide big city amenities with a small town atmosphere. A large chapel/viewing room, family café, lobby, large well lit arrangement center, and a state of the art audio system. In June of 2007 the Lauer Family Funeral Homes “Family” grew. 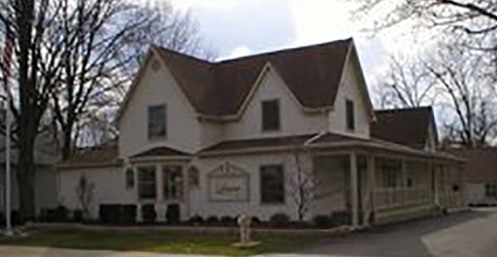 We acquired the former Wren Funeral Home in Hastings, MI. With Steve’s son Brian pursuing a career in funeral service, the Hastings location allows the family tradition to continue. Lauer Family Funeral Homes of Hastings maintained the Wren Chapel name, because we understand the importance in the community. This location allows us to serve the Hastings and all of Barry County communities with compassion and care. Along with a new location came a new name – Lauer Family Funeral Homes. The name change reflects the participation of several family members in the business as well as our priority on maintaining a family oriented service. 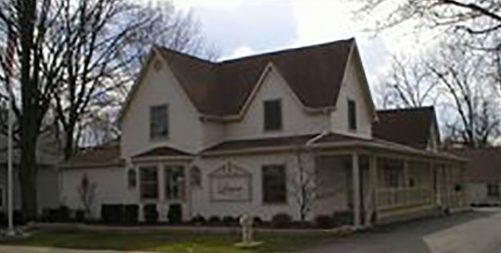 Our funeral home in Hastings, MI is a large facility and includes many amenities not often found in other small community funeral homes including a large family banquet facility with full kitchen and a playroom for children. In addition, the Hastings funeral home offers three chapels, a family room, an arrangement center, large showroom, and is beautifully finished with a brick exterior. All of these amenities are available with the same affordability of our other locations. The small town atmosphere of Hastings matches that of our other locations in which we have many years of experience. Lauer Family Funeral Homes strives to maintain family oriented, caring, and compassionate funeral and memorial services with your wishes and needs as our highest priority.